Can you take on the challenge of looking after the hydro turbine at Heron Corn Mill, and successfully generate enough electricity? You’ll have to keep the river clear of floating debris, protect the inlet screens from damage, do running repairs, and keep the turbine spinning! 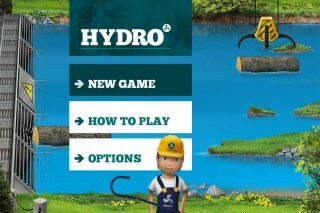 As you play through the levels, you’ll take care of the day to day running of the hydro electricity turbine over the course of a year. The changing weather conditions and various activities going on up-stream will throw a lot of challenges your way… including fast moving logs, blocks of ice, and the occasional sheep in need of rescue! 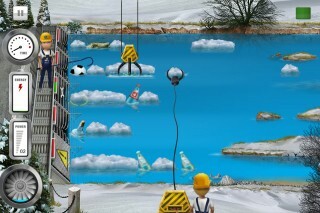 The game-play is hectic and against the clock; you’ll need to juggle several tasks at once to succeed. Over the year, you’ll learn all the skills you’ll need to successfully run the hydro – from the heavy-lift crane, to the grappling hook. Good luck, and watch out for the ducks!